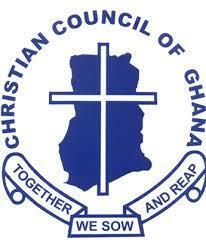 CHURCHES MUST CONTRIBUTE THEIR QUOTA TO NATIONAL DEVELOPMENT "- ASSEMBLY MAN. HomeLocal NewsCHURCHES MUST CONTRIBUTE THEIR QUOTA TO NATIONAL DEVELOPMENT "- ASSEMBLY MAN. The current assembly member for Nkawie Kumaa electoral area Hon. Opare Kwabena Charles in the Atwima Nwabiagya municipal has appealed to churches as a way of lessening the burden of the assembly assist in contribution of the social responsibilities. He disclosed this to the press, whilst donating books and others stationeries to some brilliant students at Experimental Jhs A & B ,Kuffour Jhs A & b as well as saint Justice Anglican school at Nkawie . The Assembly man urged the students to take their lessons very serious and stay away from examination malpractices . In addition , the assembly man told parents and others philanthropist to assist the poor but needy in the community.